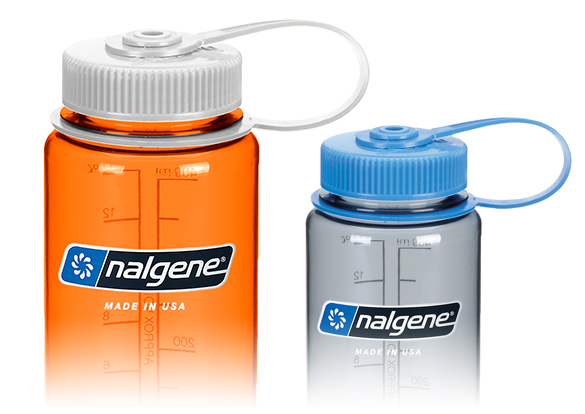 Ever-popular, Nalgene's Tritan bottles remain the 'go-to' choice when it comes to hydration. BPA-free, these virtually indestructable bottles are dishwasher-safe, odour-free and come in a range of funky colours. They're available in wide-mouth (great for ice cubes!) and narrow-mouth options, plus a choice of lid types. Check out ALL the colour combos on our 'Design your Bottle' page! Hydration should be simple, and Nalgene's ‘On The Fly’ (OTF) and ‘On The Go’ (OTG) bottles make it even easier. Totally leak-proof, these bottles feature a one-handed closure lid which is quick to use and great to drink from - go ahead and mix'n'match the colour options on our 'Design your Bottle' page! Want to save a few grams? HDPE and LDPE bottles are slightly lighter than Tritans, but are also super-durable and dishwasher-safe. For extreme users, they're also reliable across a temperature range of -148F to 248F! Check out ALL the colour combos on our 'Design your Bottle' page! We've got Grip'n'Gulp kids' bottles, super-cool stainless steel, super-packable flasks and clever 'sip-or-slurp' Multidrink bottles - all of which can be printed with your logo! Check out ALL the colour combos on our 'Design your Bottle' page!